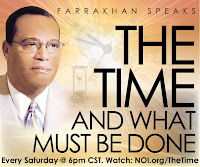 On January 26, Part 3 of the Honorable Minister Louis Farrakhan's weekly online series dealt with various topics. One in particular--that has the Internet buzzing with controversial dialogue--is his perspective on the 2nd Amendment of the U.S. Constitution and the growing anger of armed White Americans. "White people are buying guns at a phenomenal rate. These are not Black people in gun stores, it's White people,", said Minister Farrakhan. "You can't discuss the 2nd Amendment without discussing the context in which that was made a part of the United States constitution. See, the right to bear arms was given at a time when there was no regulated militia to protect America. But now you have police well-armed, you have state troopers well-armed, you have the National Guard and you have federal troops...The anger in America is building. White people are angry with their government." At the top of this year, Minister Farrakhan embarked upon this 52-week series titled, "The Time And What Must Be Done," a subject that originated with his teacher, the Most Honorable Elijah Muhammad, whom he spoke about in great length during the airing of Part 3. 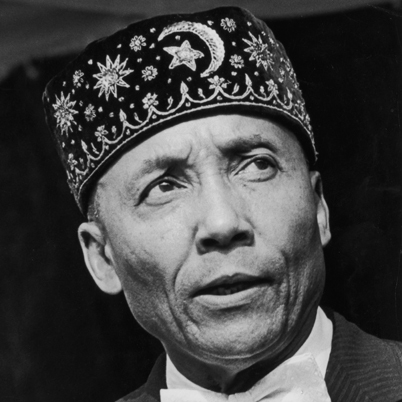 "The Honorable Elijah Muhammad has been chosen by Allah, in the Person of Master Fard Muhammad," said Minister Farrakhan. "Elijah is The One teaching you today. Elijah is here to fulfill that which is written of him. How is Elijah and Jesus connected? The Elijah of the Old Testament is the Prophesied Jesus of the New Testament." During the one hour broadcast, Minister Farrakhan read statistics to show that America is on a serious decline. He also warned, "I'm sorry to tell you the calamities will get greater and greater, more severe; increased loss of life. Things are not going to get easier, they are going to get worse...Soon earthquakes will strike America and many lives will be lost. It won't just be White lives lost." "America: You're fighting a solution that will save you and bring life to you. I pray that you will respond to this call."